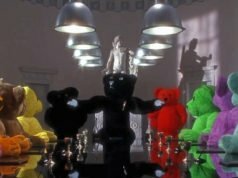 Not until next week will I be getting to Designing 007 at the Barbican, but the people at Anthony Sinclair have re-created the iconic grey glen check suit from Goldfinger for the exhibition. 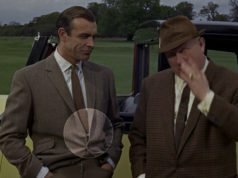 A few months before Goldfinger, Sean Connery wears what appears to be that same exact suit in Woman of Straw, except without the waistcoat. The jacket has the same button two front, flapped pockets with a ticket pocket, double vents and four-button cuffs. 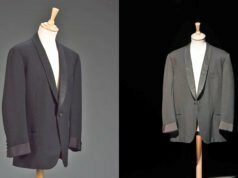 The jacket is made in Anthony Sinclair’s cut with natural shoulders, a full and draped chest and a gently nipped waist. The trousers have Sinclair’s usual double forward pleats and side adjusters. 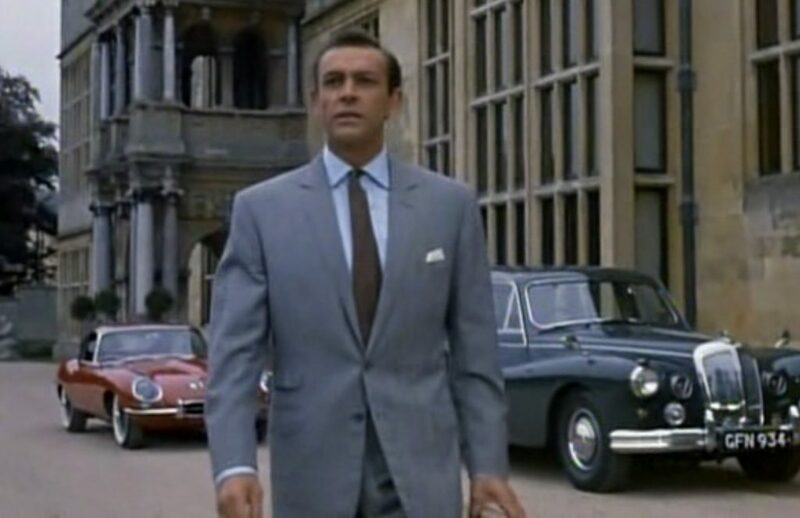 Connery wears the suit with a sky blue shirt. The shirt has a spread collar and double cuffs. 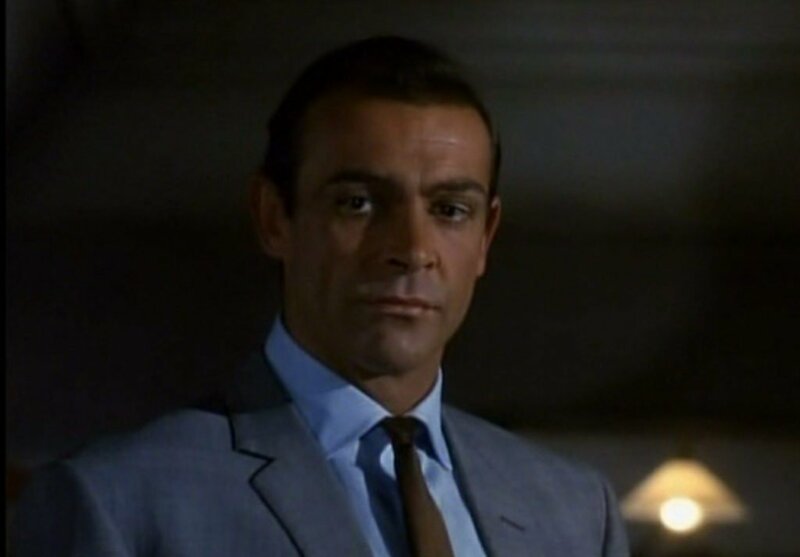 Connery wears a brown satin tie in a four-in-hand knot, a folded white linen handkerchief in his breast pocket and black shoes.